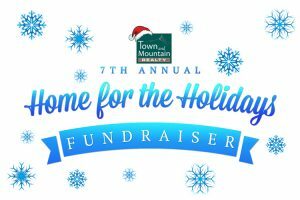 We believe that everyone should have a safe and comfortable home — and that’s why we’re a proud sponsor of Town and Mountain Realty’s 7th Annual Home for the Holidays FUNdraiser. Join us at the Orange Peel on November 30th for live music, local food, a silent auction and raffle and great holiday-themed kids’ activities — sharing the love in support of five local nonprofits: Homeward Bound of WNC, Beloved Asheville, Helpmate, Eliada Home & ABCCM’s Steadfast House. All gifts and donations will help members of our community have a place to call HOME. Let people know you’re attending through Facebook. We hope to see you there!